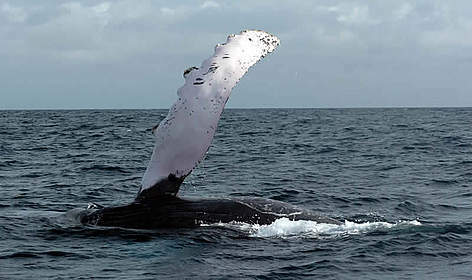 Seven out of the 13 great whale species are still endangered or vulnerable after decades of protection. Whales, dolphins and porpoises are succumbing to new and ever-increasing dangers. Collisions with ships and entanglement in fishing gear threaten the North Atlantic right whale with extinction, while the Critically Endangered Western North Pacific gray whale is at serious risk because of intensive oil and gas development in its feeding grounds. Alarm is also growing over other hazards including toxic contamination, the effects of climate change and habitat degradation. Despite a moratorium on commercial whaling and the declaration of virtually the whole of the Southern Ocean as a whale sanctuary, each year over 1,000 whales are killed for the commercial market. In order to help secure the future of the world's whales, WWF is developing an ambitious conservation programme for endangered whale species and populations. WWF is working to significantly reduce threats to endangered populations of our great whales as well as smaller cetaceans. We're also combating risks to whales by lobbying to bring whale hunting under the strict control of the International Whaling Commission, through field research, training and capacity building, conservation education, and by securing improved national and international action and agreements. Through support to TRAFFIC, the wildlife trade monitoring programme of WWF and IUCN, we're closely investigating and monitoring the illegal trade in whale meat.